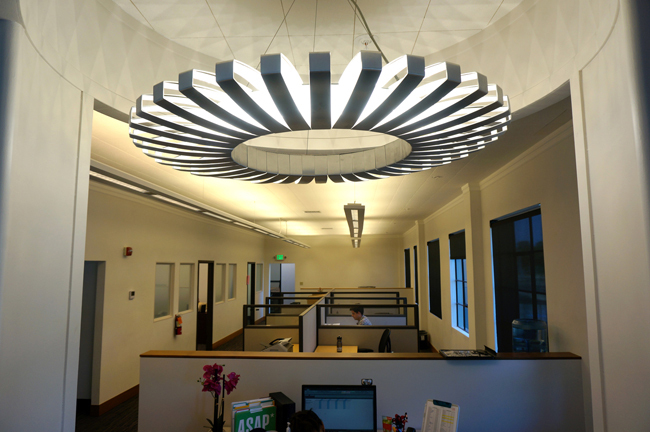 Alten Construction recently moved into its newly renovated headquarters within the Kaiser Shipyards Historic District of Richmond’s Marina Bay neighborhood. 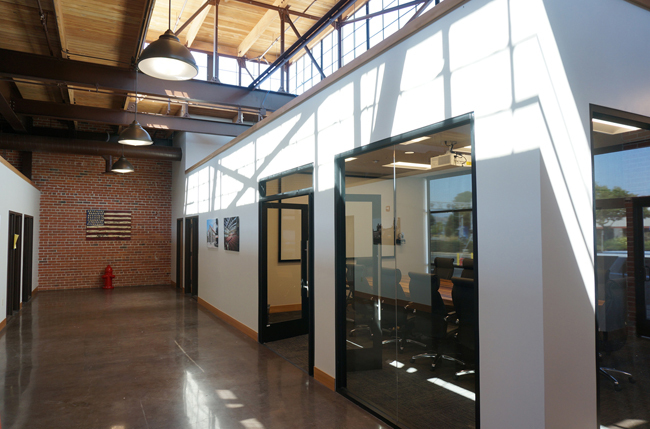 Interactive Resources was the architect and structural engineer of record for the project, overseeing design, permitting, and construction support for the full restoration of this historic early industrial-modern factory. 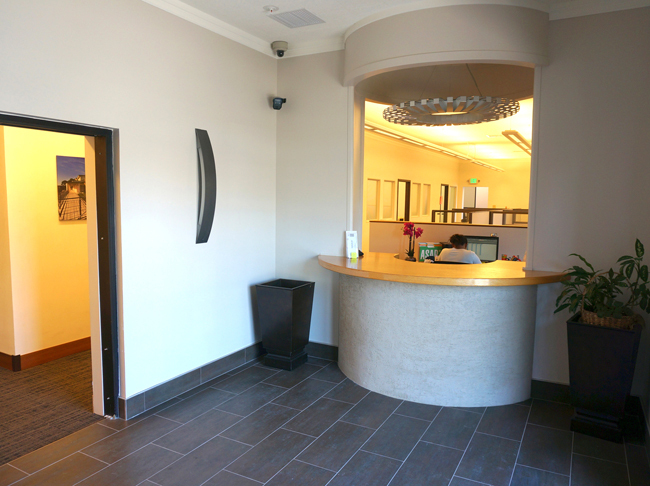 We worked with Alten Construction as part of the design-build team. Space planning, programming, schematic design and construction documents were prepared for the remodel of 30 private offices, an open office area, conference rooms, kitchen/break room, deck, conference rooms, bid room, restrooms, shower, janitor/storage and lobby area. 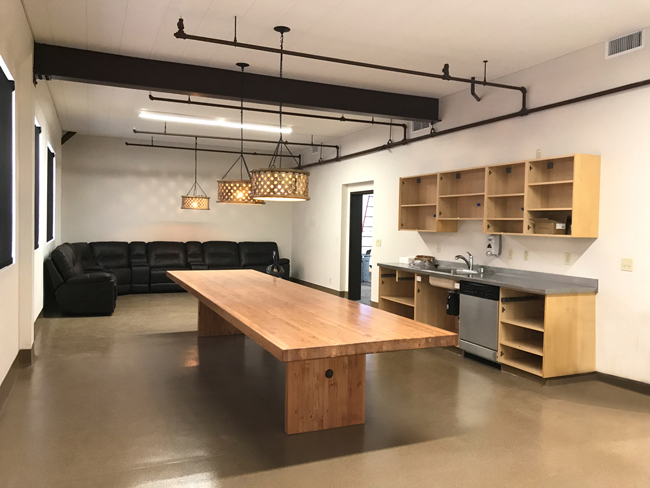 A favorite feature of both the architects and contractor, who share a passion for fermented hops, is the tap room, which is adjacent to the kitchen/break room, and opens onto a private interior court. 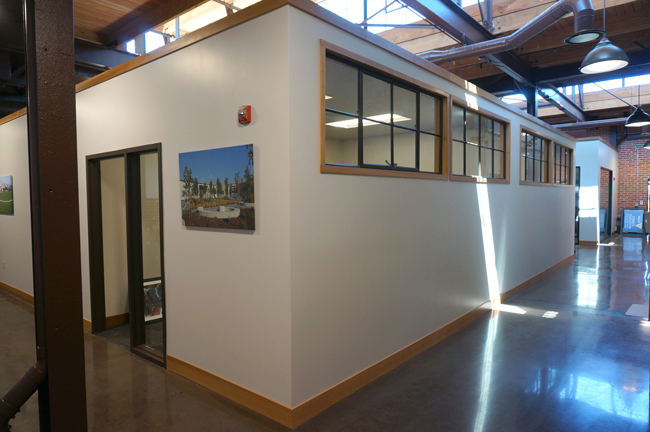 The overhead roll-up doors were replaced with a glazed storefront, and the historic steel windows were carefully removed, transported to a nearby powder-coating facility where they were bead-blasted and refinished, re-glazed, and then re-installed in the building. More than 200 steel windows were restored, each with 12 panes of glazing. The project included minor structural work, new roof and stucco, accessibility improvements, energy-efficient electrical and mechanical upgrades, new restrooms and plumbing fixtures, a shower room, re-use and restoration of interior and exterior finishes, new audiovisual power/data, and historically appropriate landscaping — including drought-tolerant planning, new paving, and a new flagpole and monument sign. Originally built in 1946 by National Oil Products to house offices and a vitamin factory supporting the war effort, the space is the former world headquarters and manufacturing hub of Shaper Lighting. 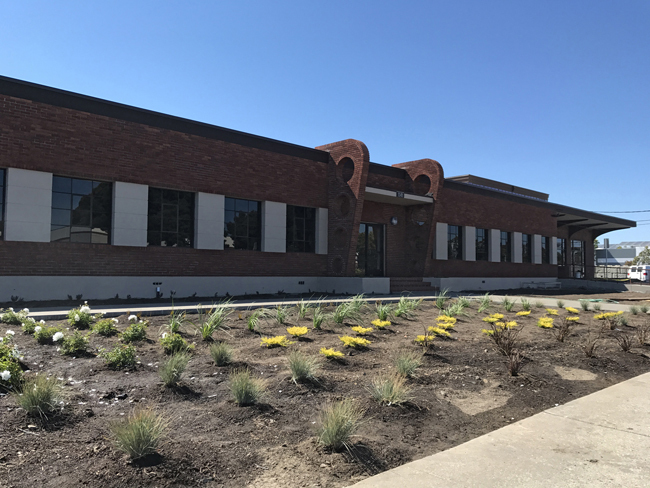 Alten Construction and Interactive Resources have collaborated on other historical restoration projects, including the renovation of The City of Novato’s iconic red “City Hall” building.